We are updating this section so not all available sizes will be shown below. Please contact us if you don't see what you need. USA (317) 519-9020, M-F, 7AM to 4PM EST. 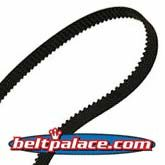 This section lists our Automotive Timing Belts. Gates T067 Automotive timing belt (Ford). Goodyear 40067. Dayco 95067. Gates T067 Automotive timing belt. Ford OEM replacement.